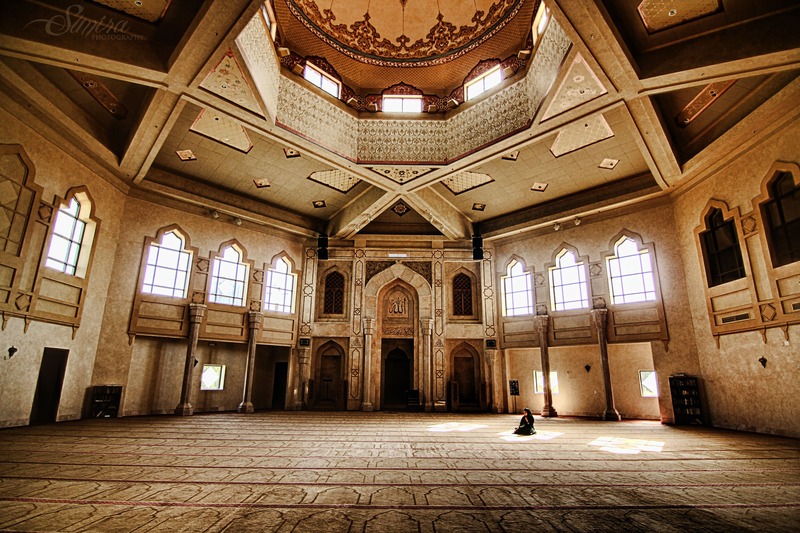 The stunning interior of the Al-Farooq Masjid where my good friend Tasnuva got married this past Sunday. They have this amazing prayer hall. �My friend Gopika is sitting in the sunlight. Middle eastern architecture is honestly one of the most beautiful types of architecture in the world. It�s interesting to see a beautiful display of it right here in Atlanta. Haha. Oh man there are so many photos. I ordered another 50mm and it’s coming tomorrow! I wonder if this one will be as sharp as the one before? Maybe sharper because the first 50mm (that later wound up in the river) was teh sharpest. I forgot to tell you that I made Tom leave what he was doing to come look at this picture with me. He didn’t even mind being interrupted because he was so impressed. Seriously gorgeous shot. Thanks. The masjid was definitely beautiful and this picture actually doesn’t do it justice. where can i find Al Farooq Masjid ?? It’s on 14th street in Atlanta. i LOVE this photo! you are so talented! THIS MASJID IS IN ATLANTA? #SoBeautifulMashaAllah! I’m a writer with the CultureTrip.com and am putting together a post on the most beautiful mosques in America. I’d love to include your photograph, with your permission and full credit, of course. Please let me know if that would be alright.